Man Utd continue to be linked with an array of midfielders, as Jose Mourinho looks to strengthen the position. Jose had stated recently that the club needs to sign at least two midfielders to have a genuine shot at the title. Also, he wants to have players supporting the likes of Paul Pogba and Nemanja Matic, who are his go-to midfielders in the side. With club captain Michael Carrick limited to just one game in the entire season with an irregular heart problem, the Red Devils want to sign an able replacement for the club legend, whose contract expires in the summer. And now, it seems they have identified Shakhtar Donetsk’s Fred as the player to replace Carrick. According to Daily Record, Jose wants the player this month itself, as he is keen to bolster his options. The 24-year-old has impressed for the Ukrainian side since he joined them five years ago. The United management seem hopeful that they can beat the likes of Arsenal and Man City for the player’s signature. The versatile Brazilian is considered to be a good option, and could also be a focal point in United’s three-man-midfield if Jose decides to play with that system, as it would allow Pogba more freedom. United have been hit by injuries as well, and with Marouane Fellaini’s contract talks stalled, he too, could be on his way out in the summer. That leaves the club with just three senior midfielders in Pogba, Matic, and Ander Herrera. 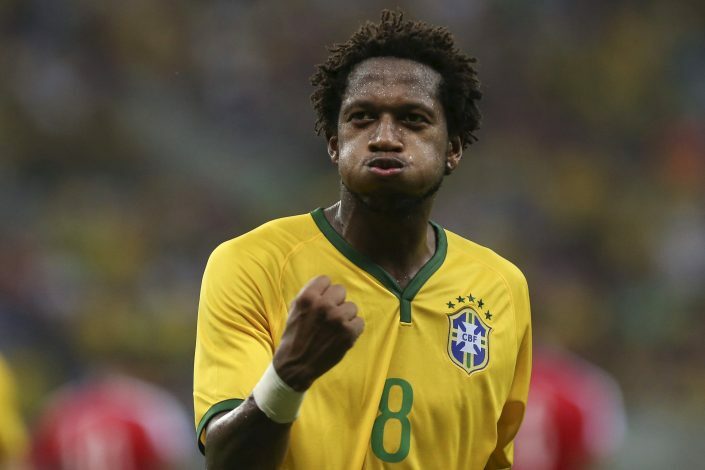 Fred is the latest to join the list of possible transfer targets for United. They were earlier reported to be linked with central midfielders like Fabinho, Eric Dier, Toni Kroos, and Carlos Soler, to name a few.